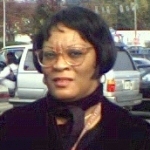 Wilma Johnson is currently Executive Director of Greater Love, Inc., Christian Educational Institute, an educational consulting firm in Georgia. She received an Ed.D. degree in 2004 and a MSW degree in 1994 from Clark Atlanta University, and her undergraduate degree in Black Studies from San Jose State University. Dr. Johnson has been accepted into the Biblical Studies, Master’s program at Beulah Heights University. A native of San Jose, California she now resides in Riverdale, Georgia. Wilma is currently working on a history project, from the Pentecostal perspective, on African American women preachers and evangelists who lived in the 1800s.